Go for a bike ride! We women do not live by bread alone ! Great, great bread! You know, now I realized I scored mine ‘wrong’ – I mean, in the wrong direction…. Good luck with the ‘rustic’ Sally! I haven’t looked at that one yet. This bread looks absolutely beautiful! And I agree with Sally . . . I love the look of your scoring. I will have to try this one soon! 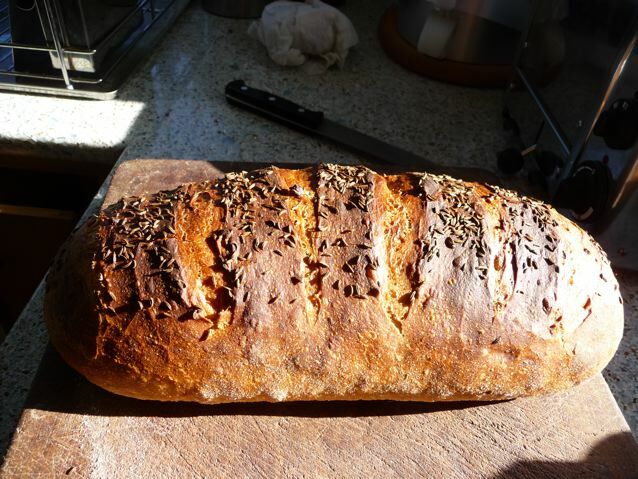 Hi Abby, thanks for visiting my baby blog, look forward to seeing your bread too! Lovely bread you have there, Zeb, turned out quite lovely. And a fine new blog too! I’m adding it to my blogroll! Hope to see you tackle the Rustic shortly! 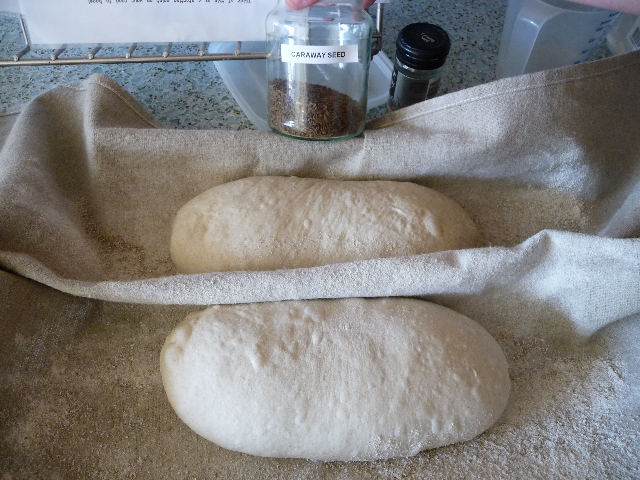 I’m making it today and will give one of the loaves away so I have a reason to do the Light Rye next week. Thanks for forging the path a little for us who go at it a bit later. Thanks Paul! Better than my bagels heehee! 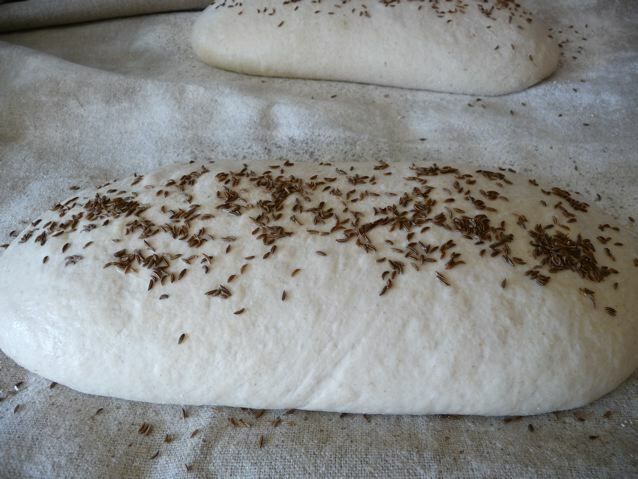 I have high hopes for this bread. I am waiting for some medium rye from king arthur flour. Yours look delicious. Where does one find a kiln shelf ? You can get kiln shelves from pottery suppliers and people who fire pots for potters. Mine came from http://www.bathpotters.co.uk in Somerset. Fantastic looking loaves!!! Love that crumb inside. 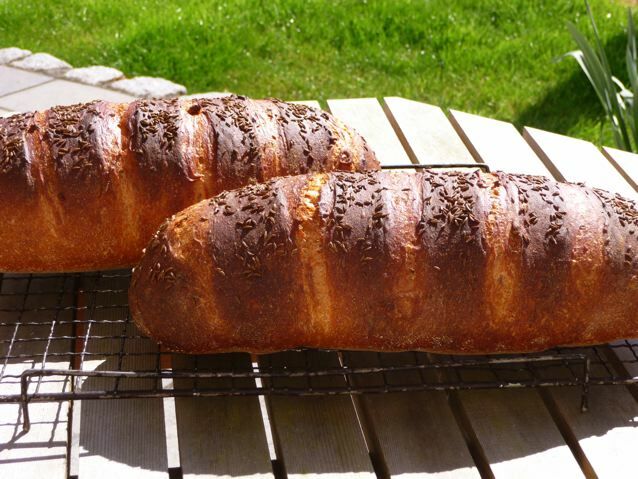 These look great and sound like a similar recipe to the one we use for our ‘light rye’ and ‘light rye with caraway’. I think yours might be a higher hydration, hence the holes. Ours has about 1.5 hours bulk fermentation after mixing (we use a mixer for speed I’m afraid!) and then about 45 mins proving. I think light ‘deli’ ryes are all pretty similar, is yours a hybrid like this one. 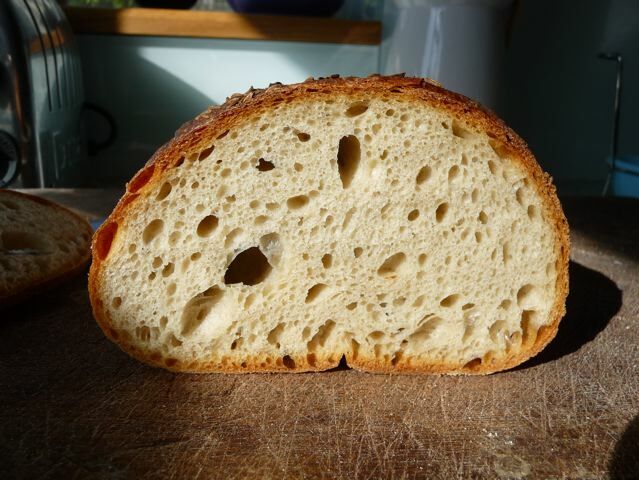 There were various versions on the forum and Mick Hartley does a great sourdough one! Glad you like the blog Andrew! I like Dan’s kneading method too. Minimal with good result. Sometimes I think this easy method should create more noise to make more people know about it~! Thanks Natalie! Lets make the noise! 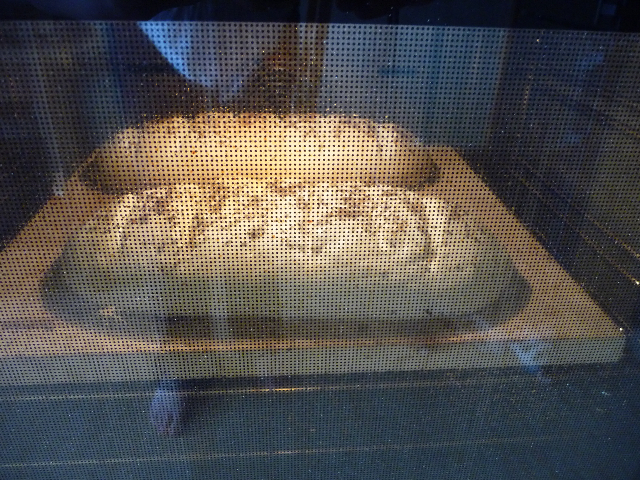 These loaves look gorgeous! I’ve bookmarked this for later. Must bake this weekend!